Building a digital pinball machine. Text and pictures by Edmond Te Kiefte. 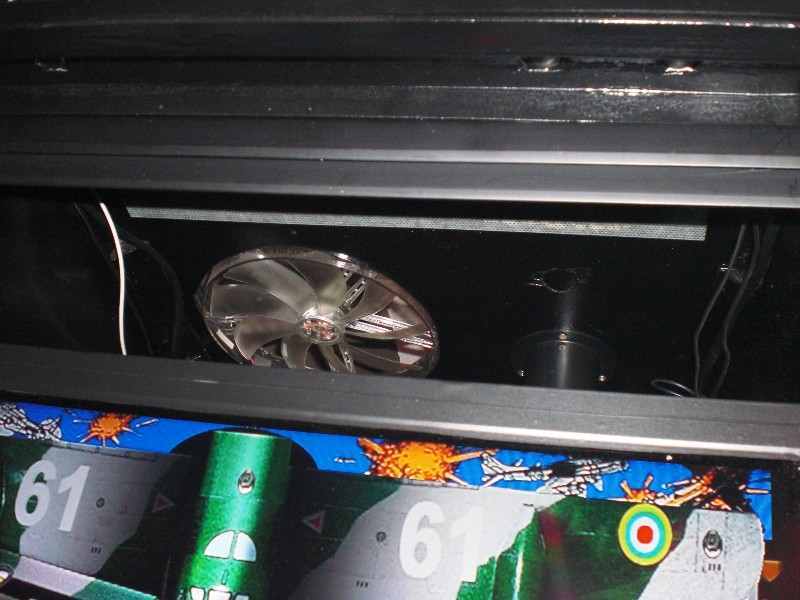 Article was published in the magazine of the Dutch Pinball Organisation. In the past I've played a lot of pinball games on my Amiga computer. 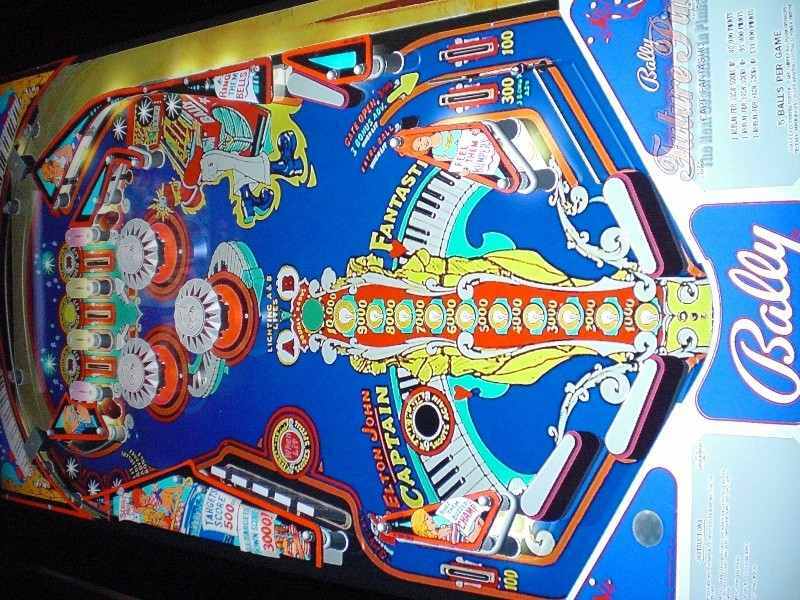 The last years I often used Visual Pinball to decide if I would like a certain pinball machine. But playing pinball on a computer isn't the same thing as on a real pinball machine. Or is it ? Since Visual Pinball 9 it's possible to play pinball machines full screen. Future Pinball also has the possibility in arcademode to show tables full screen. I had already read an article about Hyperpin; this is a frontend for Visual Pinball and Future Pinball. With this information and the results of other persons that have built their own cabinets, I decided to build my own. And I think the result is very good ! I didn't start buying televisions and computers. I first wanted to try if it was possible to get all the programs running and if it met my expectations. So I downloaded and installed VP9, VPinmame and Hyperpin gedownload on my portable. A lot of people seem to have problems installing Visual Pinball. Luckily there's a complete setup to download from vpforums.org. Vpinmame is part of it and the default install makes all necessary adjustments. I downloaded some VP9 tables, connected the portable to the television in the living room and started to play. Unfortunately not everything played well, but I knew this was because of my portable. I was surprised by the high quality of pinball tables so I decided I would start building the machine. I first had to research the minimum properties of tv screens and computer. Then I made a budget. My goal was to spend as little money as possible without saving on quality. My budget was 1800 euro, in the end I spent around 2000 euro. Because my laptop wasn't powerfull enough I decided to buy a computer first. Should I decide to stop the project I could always use a new computer. 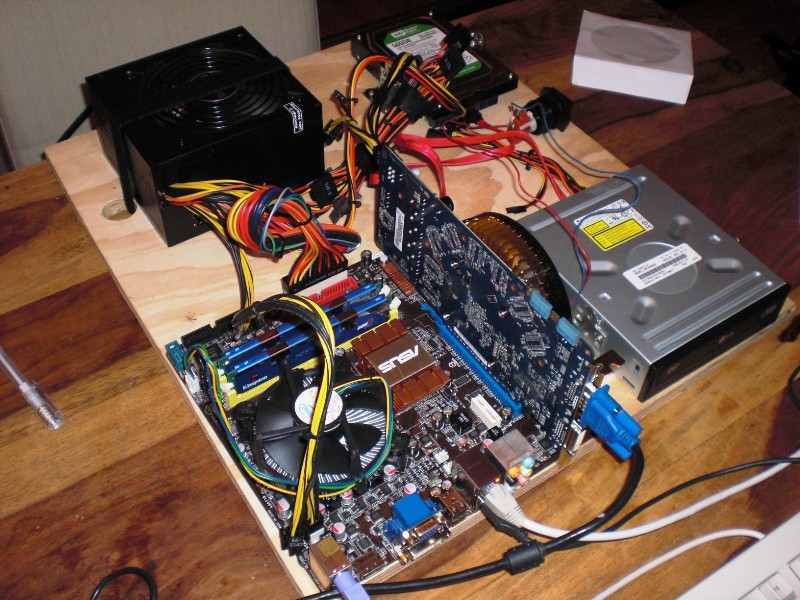 Building your own computer is nowadays not difficult anymore, everyone could do it. I didn't need a case as it only takes too much volume. Everything is mounted on a piece of wood. I've chosen an Asus motherboard with Intel Dual Core 3 gigahertz processor and 4 gigabyte of memory. The best video card to use is from Nvidia, not every type is suitable.Experienced cabinet builders prefer the 9800GT so I bought this. A strong power supply is also necessary, at least 500watt. Never skimp on the power supply ! Add a harddisk and dvd and the computer is complete. After installing all software I connected this new computer to the television screen in my living room, using an HDMI cable to the 9800gt. Visual Pinball in FullHD. Excellent ! Now I could also test my second monitor for the backglass. This is connected through a vga cable on the same videocard. In the end it wasn't too complicated at all. The help file of hyperpin has clear instructions about this. I made the decision to build the pinball cabinet ! There are two options: either build one myself or use an existing cabinet. Advantage of building one myself is that it's made to the precise size of the screens. 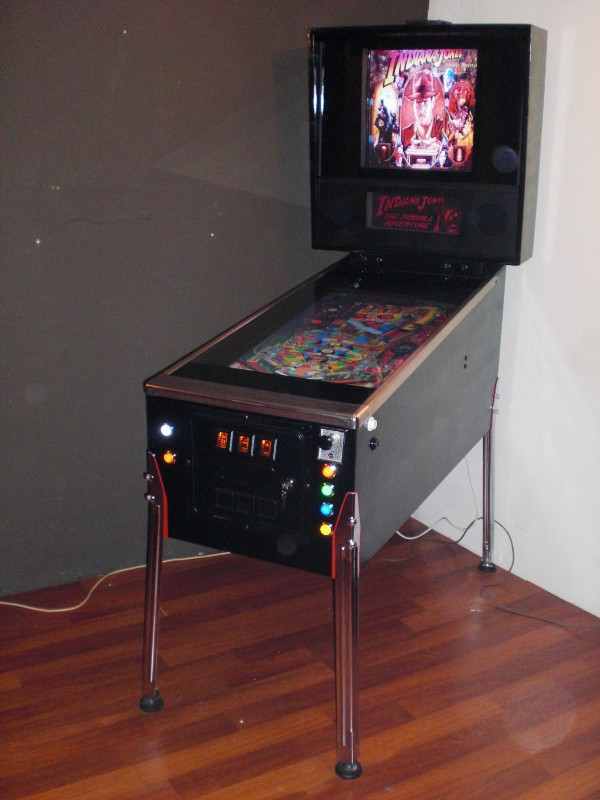 It is more expensive and has a lesser 'real pinball' look as it is smaller. I really wanted to have a full size pinball cabinet. 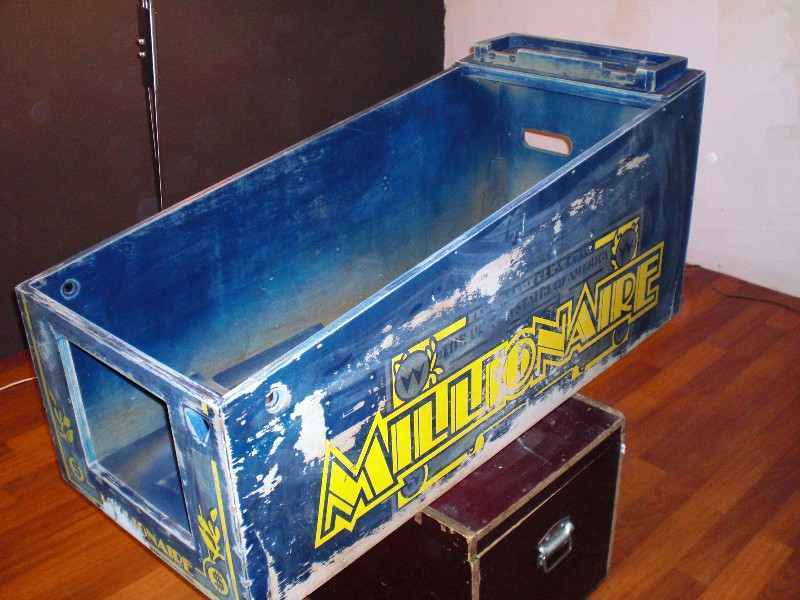 After placing some ads, someone offered me a Williams Millionaire cabinet. I stripped it, sanded it, put two layers of primer on it and then two layers of black paint. The coindoor and other metal parts were also stripped and repainted. Because I wanted it to look very smooth and nice, I bought a new pinball glass, new legs and siderails. Dilemma ! Will I use two or three display screens ? It's possible to install a third small screen for the dot matrix display. This small screen (17 or 19 inch) is hung half in the backbox, half into the cabinet. Only the top part is then used. 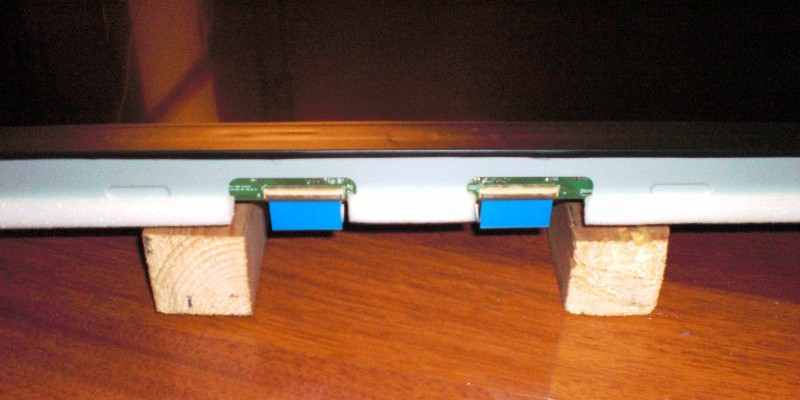 The second screen used as translight is then mounted horizontal in the backbox. After long thoughts I decided to use two screens. Main reason for this is that my System11 cabinet has hinges, which makes it almost impossible to add a thrid screen. It would be impossible to lower the backbox without removing the third screen. The second screen I mounted vertical in the backbox. It is an 28 inch screen: Hannespree ST281MAB Full HD 28. It fits exactly in the backbox, mounted onto a wall support. The top part is used as backglass, bottom part as dot matrix display. You cannot use any screen for the playfield display. It has to be full hd, have 1:1 pixelmapping, it's best to be 100 hertz and it should start when it gets power. I chose an LG 37LH4000 37inch FullHD 100hz. 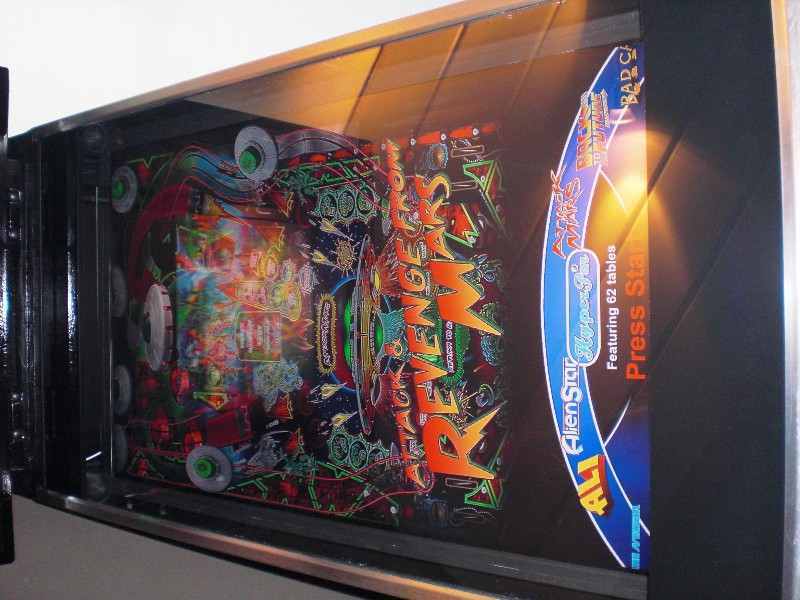 A 37 inch screen just fits a regular pinball cabinet when you remove its surroundings. 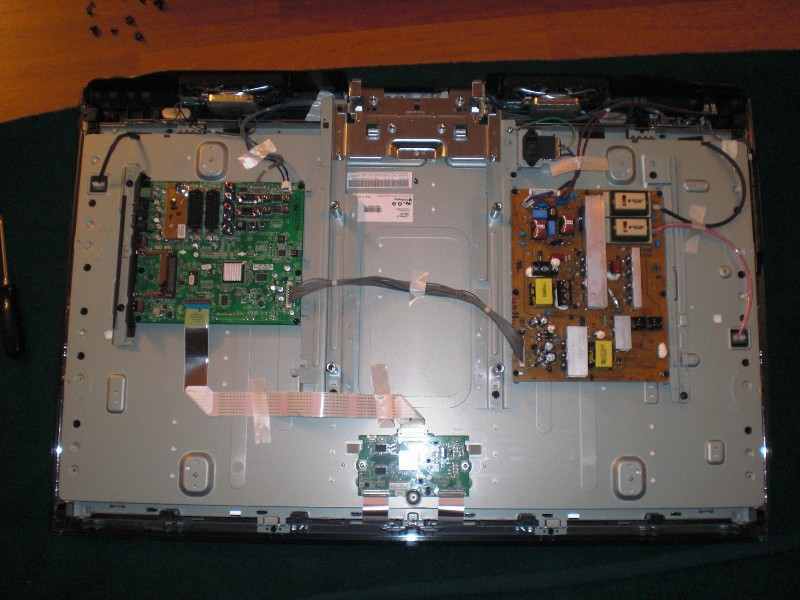 Disassembling a brand new television was a special experience. It wasn't too difficult in the end. In the back there are four screws used to mount it to a wall support. These are mounted onto two pieces of wood, that are screwed into the sides of the cabinet. That way the television lays stable intot he cabinet. On both side there's only a very small gap that I filled up with weatherstripping. There's enough space between the television and playfield glass so the heat can escape. Tv met bevestiginssteun op balkjes gemonteerd. Television screens and computers produce a lot of heat. Therefor I mounted some ventilaters in the back of the cabinet. One large in the back of the cabinet, one in the bottom where the cabinet speaker used to be, and one in top of the head in the hole of Millionaires rotating beacon. These are all connected to the powersupply of the computer. To power on everything I mounted a switch in the default place, bottom right of cabinet. To shutdown the computer you have to go into the Hyperpin menu. To upgrade the sound I used a 2.1 speakerset. 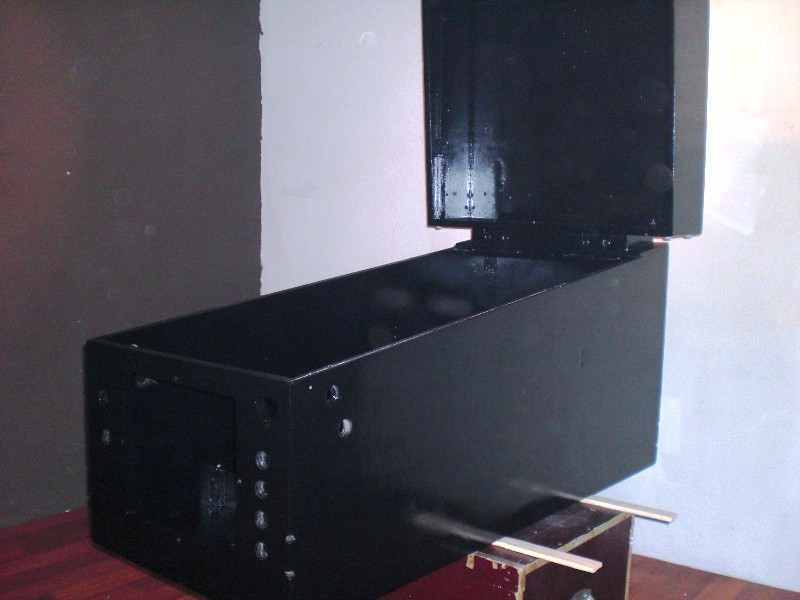 Two speakers mount into the backbox on their regularpositions and the base into the cabinet. Too many buttons isn't nice. But you can't escape them. You can limit their number by assigning buttons multiple tasks in several applications. 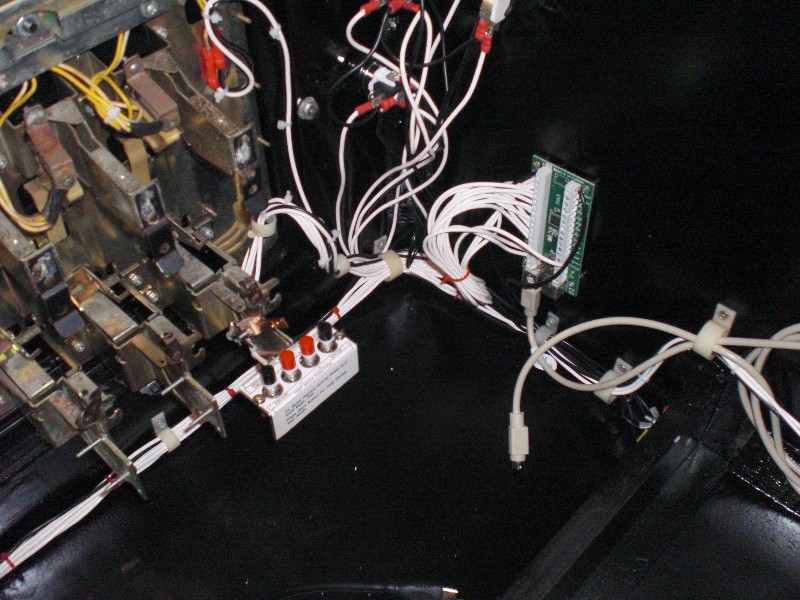 All bottons are connected to an Ipac board. This replaces the keyboard. Arcade microswitches don't have the right feel as flipperbuttons. So I used default leafswitches, connected to the IPac pcb. 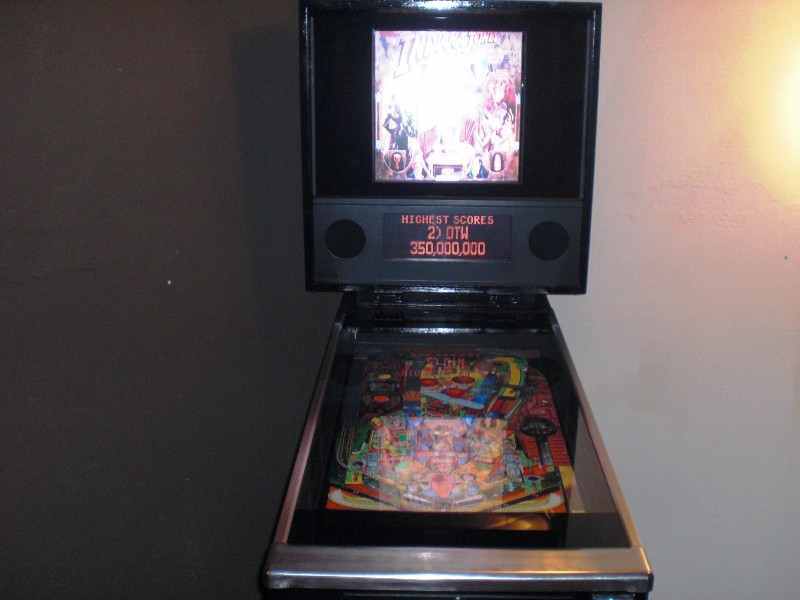 Because of the position of the television, the second button is not as on real pinball machines. This second button can be used for games that use for instance a magna save. For the plunger I used a microswitch. It's normally closed. When you pull the plunger it opens. The longer you pull it back, the longer it stays open and the further it's pulled on the screen. Just like on a real pin ! 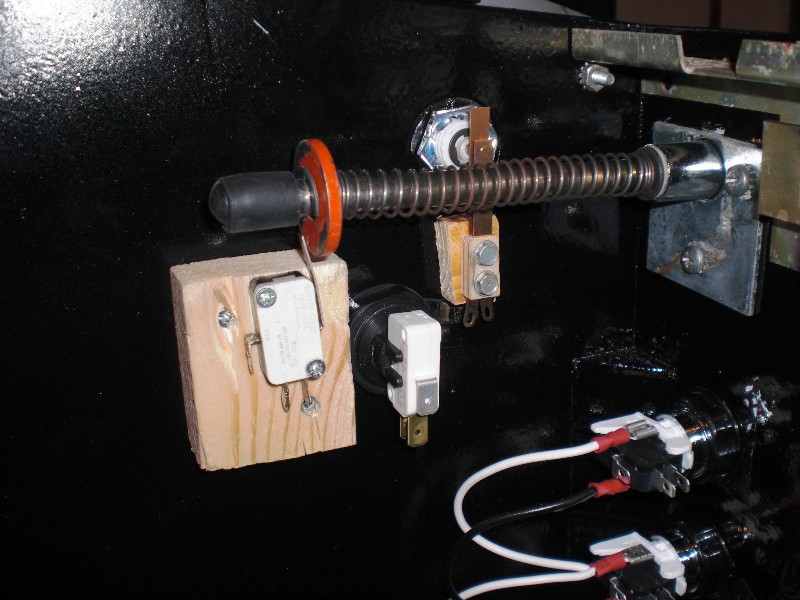 Digital plunger and pinball buttons with leave switches. 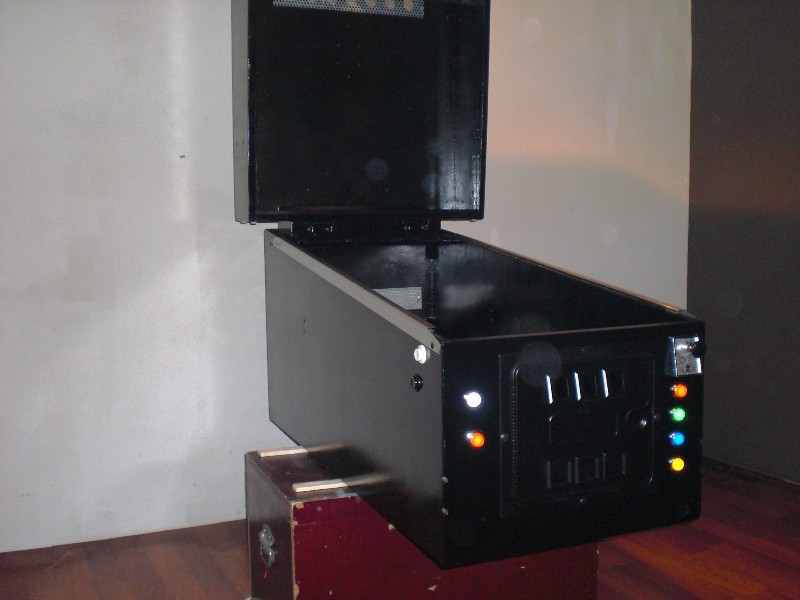 At the front I used six lit buttons: start, escape, flyer information, instruction cards, menu access, insert coin, hyperpin service and feed ball (on old electro-mechanical games). Behind the coindoor I used wpc menu switches. This makes it easy to setup the software of the pinball machines themselves. As said, new playfield glass. Because there's a television beneath it you see every scratch on it. The television screen is mounted in the middle of the cabinet. At the front and back there's a hole. You can't put the television at the front side of the cabinet as this will result in too much open space in the back and there's no room because of the plunger. The television has to be mounted where the plunger ends. I hid the holes by painting the bottom part of the playfield black, so only the television is visible. I also added a bezel so the hole is closed. The backside I left open for cooling purposes, because the inside cabinet is black there's nothing to see. The backglass is also partly painted black so only the television is visible. I couldn't use the speaker panel out of Millionaire. A wpc speaker panel would be nice but I couldn't find one. So I made one myself out of a piece of wood. I made it 1cm higher than a regular speaker panel because the backglass is smaller. I painted it black, mounted some fabric in the holes for the speakers, put a piece of lexan in the hole for the display.. looks great ! Except for the Windows operating system, everything is free-ware ! Installation looks complicated but is very simple. Like I already wrote you can download a complete installer with Visual Pinball 9 and Pinmame. You also need Hyperpin, which is a greatfrontend. 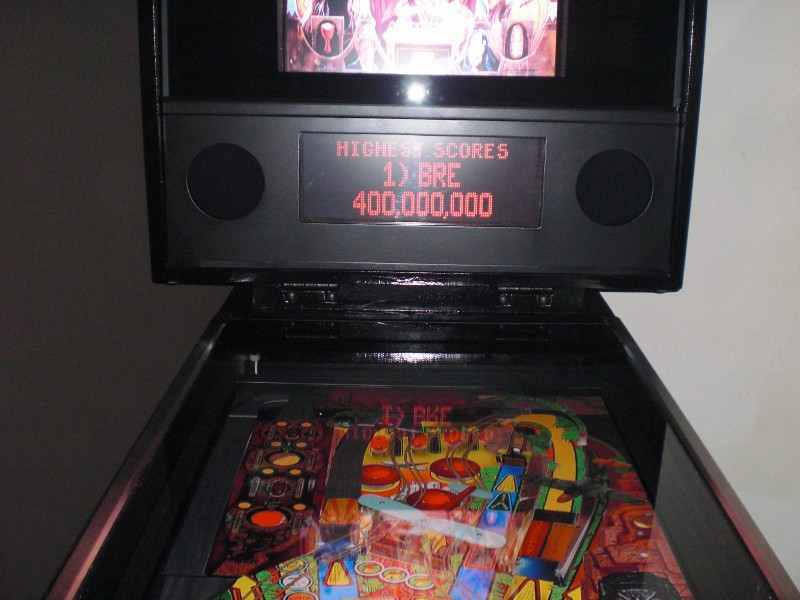 EM pinball machines look best running on Future Pinball. 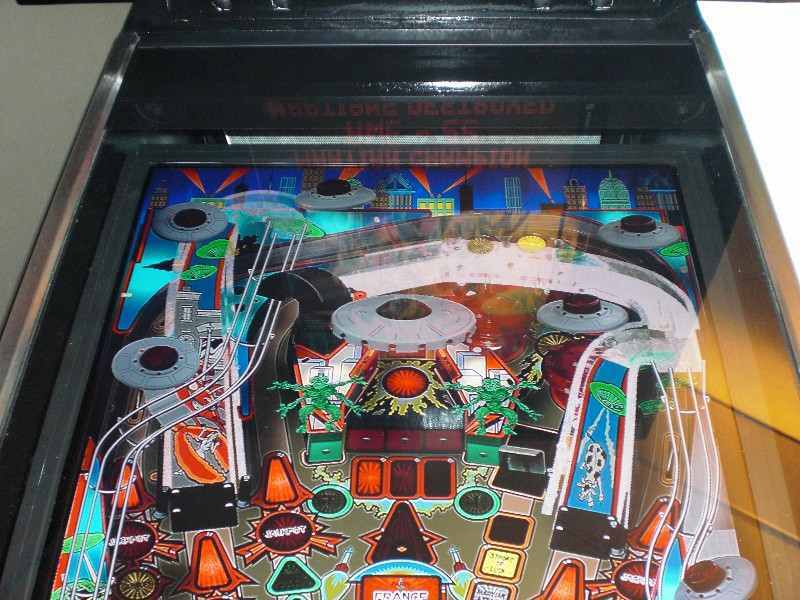 There are a lot of pinball tables for download on the internet. There are some differences in quality. For Visual Pinball you need fullscreen versions. 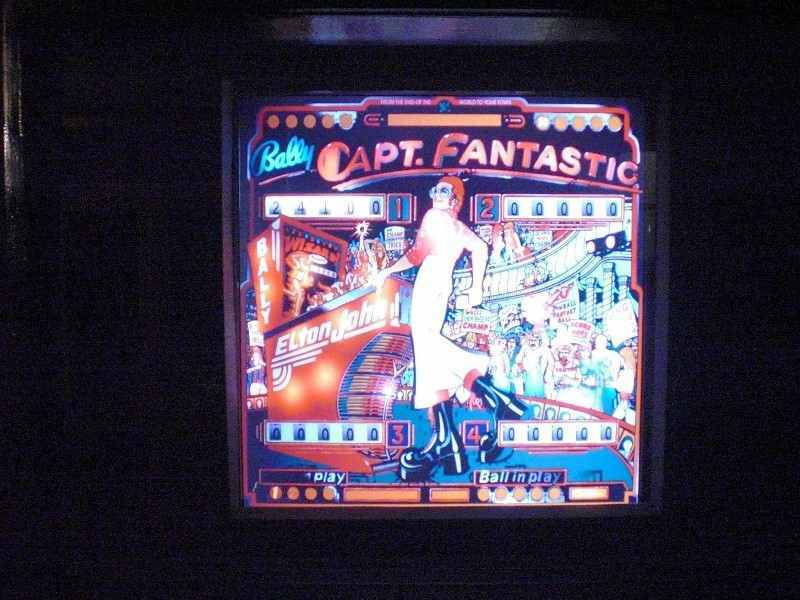 The backglass is working by default in Future Pinball. Bulbs light, score reels rotate, beautiful ! Visual Pinball doesn't have this by default. There is a program UltraVPServer to add this. Hyperpin also has a static backglass. But each pinball machine has its own mediapack. This contains a flyer, instruction cards, playfield and backglass and a 'wheel image'. The last is used in the menu to show the name. If this isn't present it's shown in regular font. The image of the backglass is shown during playing on the second screen. If this isn't present, nothing is shown. There are a lot of media packs available for download and you can make your own. UltraVPserver takes it a next level. This program is installed in addition to Hyperpin. For each game you can download a UVP pack.. This has two parts, a picture of the backglass and a UVP file. 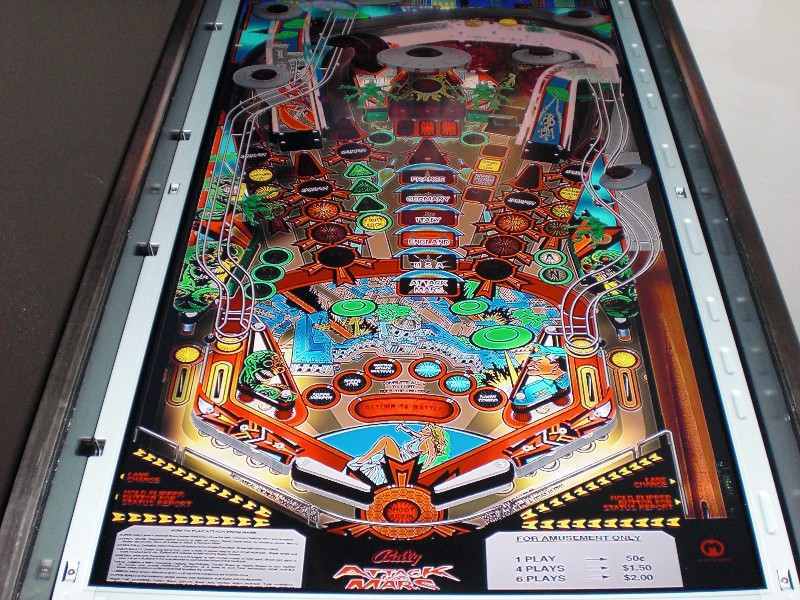 By replacing a line in the Visual Pinball script, you will use the UVP backglass. This activates score displays, lightbulbs and backglass animations. Beautiful ! To return to the question 'can you compare playing digital pinball with a real pinball machine' ? Yes. it's not a real machine but it comes very close. Advantage is that every game works, has no technical problems and looks brand new. I never had to replace dirty rubbers or broken lightbulbs. The number of available tables is enormous and keeps on growing every day. This type of cabinet is an addition to everyones gameroom. Are you interested, want to build your own ? On Gameroom I started a topic where you can ask me questions.